They are called, “Ｌucky Balls”. They are roughly the size of a baseball. They are hallow and made to float in water. 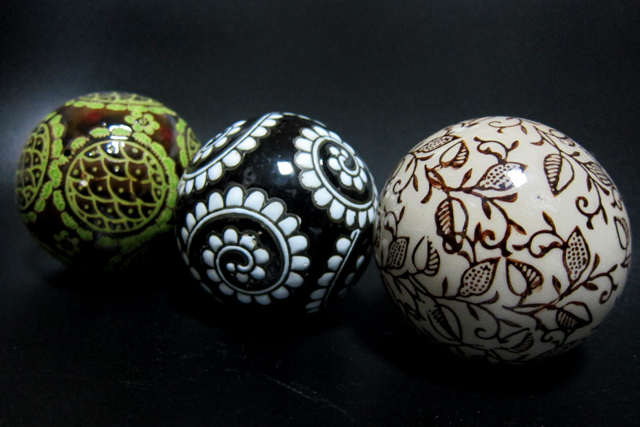 The black Lucky Ball in the center, that one is actually a gift from a millionaire living in Hong Kong. 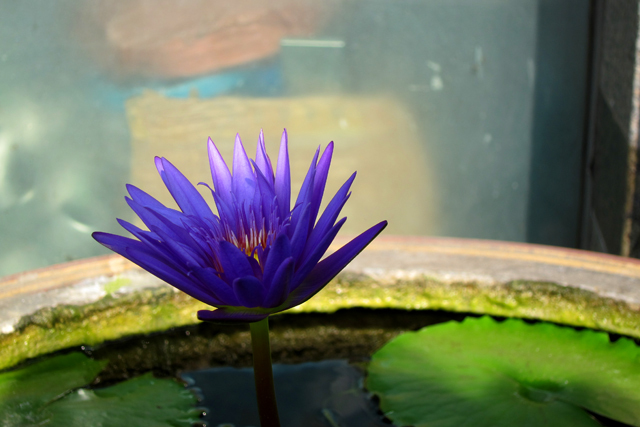 This lotus flower seemed to float and bloom on the surface of the water. Truly beautiful. I hope that a lucky flower like this will bloom in my life.